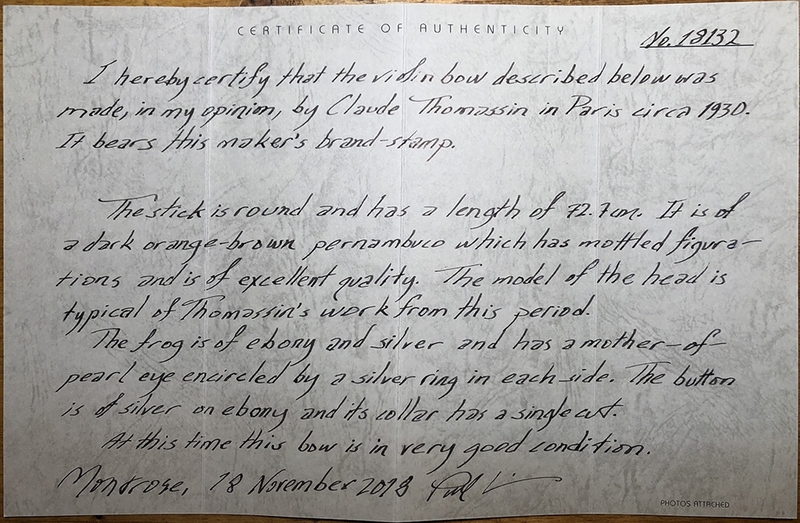 Description: Claude Auguste Thomassin was born in Mirecourt, France to a family of saddle, bow, and violin makers. At the age of eighteen, he completed his training with C.N. Bazin and moved to Paris to work for the Gand & Bernadel firm. While in Paris, his work consistently improved and was influenced by the greatest European bow styling at the time. 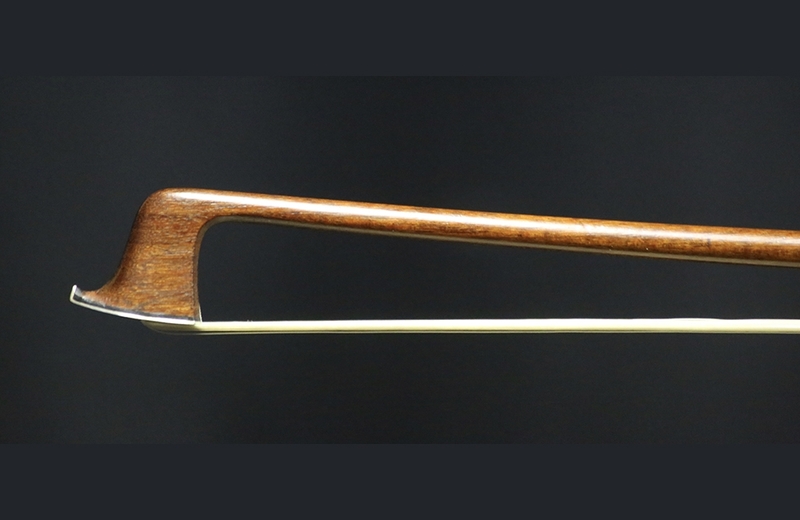 Often praised for his prolific yet astonishingly high quality bows, he is one of the most prominent French bow makers. The stick is round and has a length of 72.7 cm. It is of a dark orange-brown pernambuco which has mottled figurations and is of excellent quality. The model of the head is typical of Thomasson’s work from this period. The frog is of ebony and silver and has a mother-of-pearl eye encircled by a silver ring in each side. The button is of silver on ebony and its collar has a single cut. 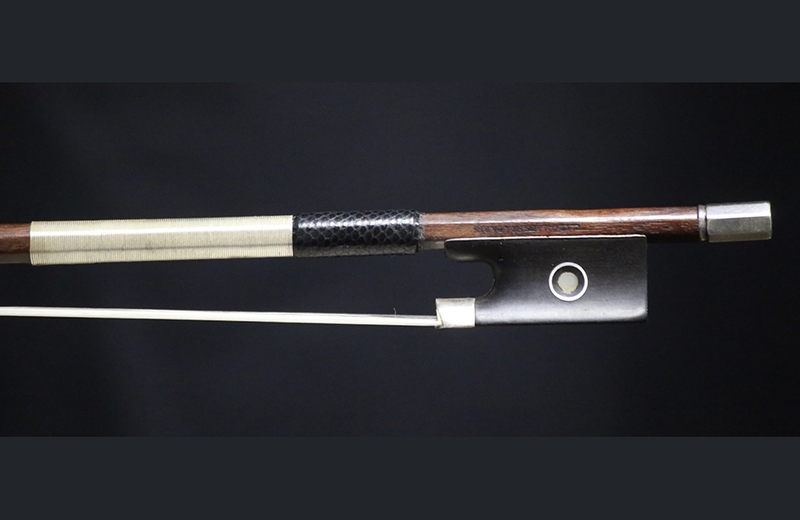 At this time this bow is in very good condition. Weight: 60.1 grams. 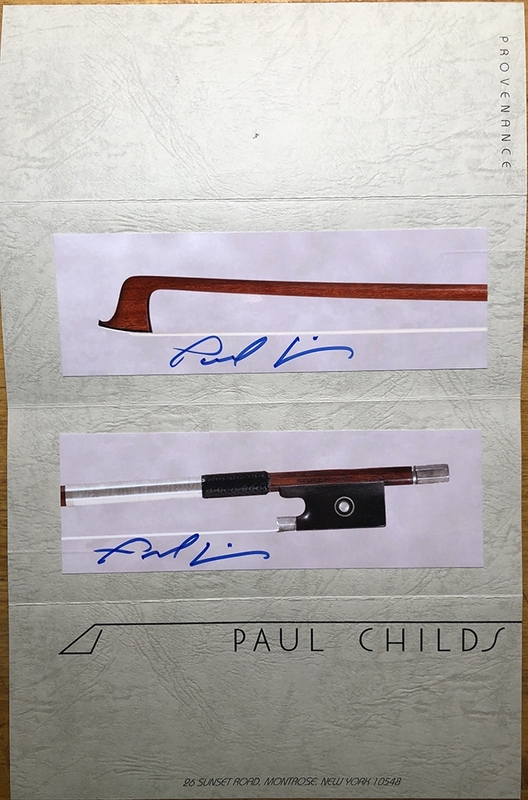 Certified by Paul Childs.